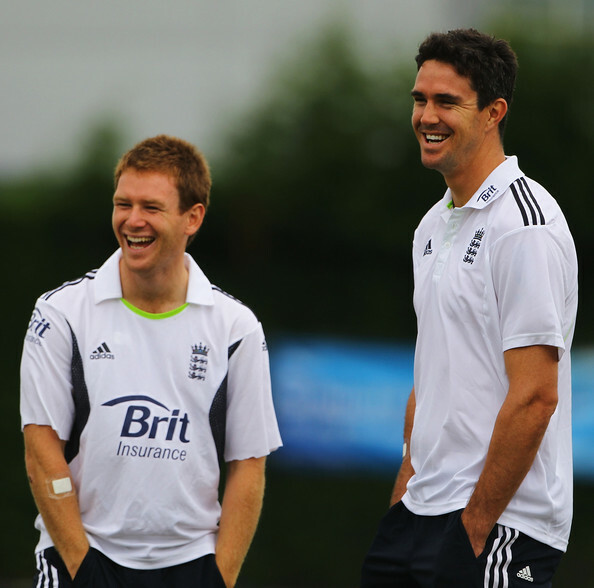 England batsman Eoin Morgan believes that the ongoing Kevin Pietersen saga should stopped being talked about everywhere in order to ensure that none of the England team members get distracted by it. Morgan also stated that the bad feelings among some of the team members are starting to spread due to the non-stop coverage of Pietersen. Pietersen angered former England Test captain Andrew Strauss and current coach Andy Flower after he was found guilty of sending derogatory text messages about them to South African players during the recent Test series between the two nations. Pietersen also had some foul-mouthed words for debutant James Taylor during the second Test, which prompted an unnamed senior player in the team to become engaged in a heated row with Pietersen. As of right now, the England and Wales Cricket Board (ECB) have not said a word about when Pietersen will be able to represent England again, but many cricket pundits believe that it is not going to be anytime soon. “I think Kevin is a world-class cricketer and any team around the world would want him in their side, but there are issues surrounding him at the moment and it will take time to resolve them. Personally I didn’t find him difficult but I’ve not been around the Test team a lot. I think that it is hugely important (to get the situation resolved) because the amount of time we spend together is huge. We spend more time together than with our families, particularly on tour. It is a huge factor and it has been for the all the successful years we’ve had as the England cricket team,” Morgan said. Morgan further stated that he had been extremely impressed with the way England had been performing since Pietersen’s departure. “I think we’ve played fantastic cricket. The guys who have come in and replaced him have done particularly well. Whoever has stepped up has done really, really well. That’s been important to the winning run we’ve had, particularly against a top side like Australia,” Morgan added. This entry was posted in Uncategorized and tagged Andrew Strauss, Andy Flower, bad feelings, cricket, derogatory text messages, distracted, ECB, England, Eoin Morgan, foul-mouthed words, impressed, James Taylor, Kevin Pietersen, performing, row, saga, senior player, South Africa, spreading, stopped. Bookmark the permalink.